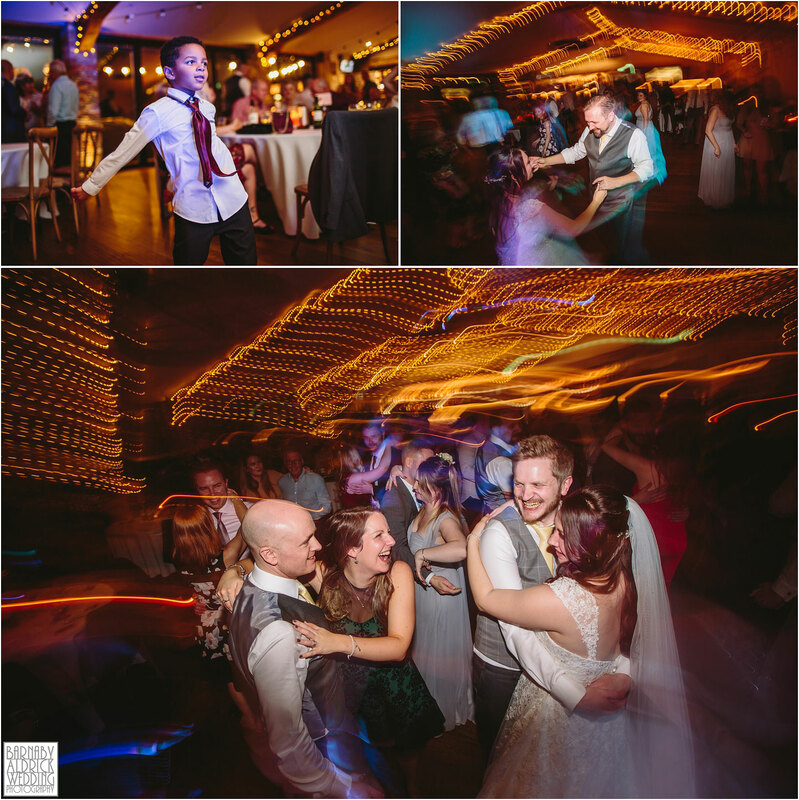 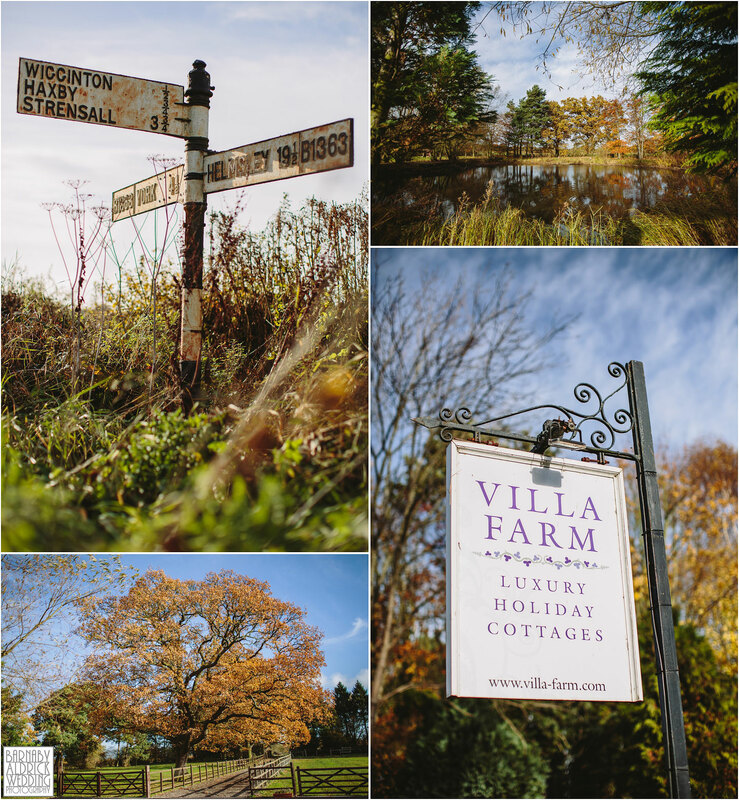 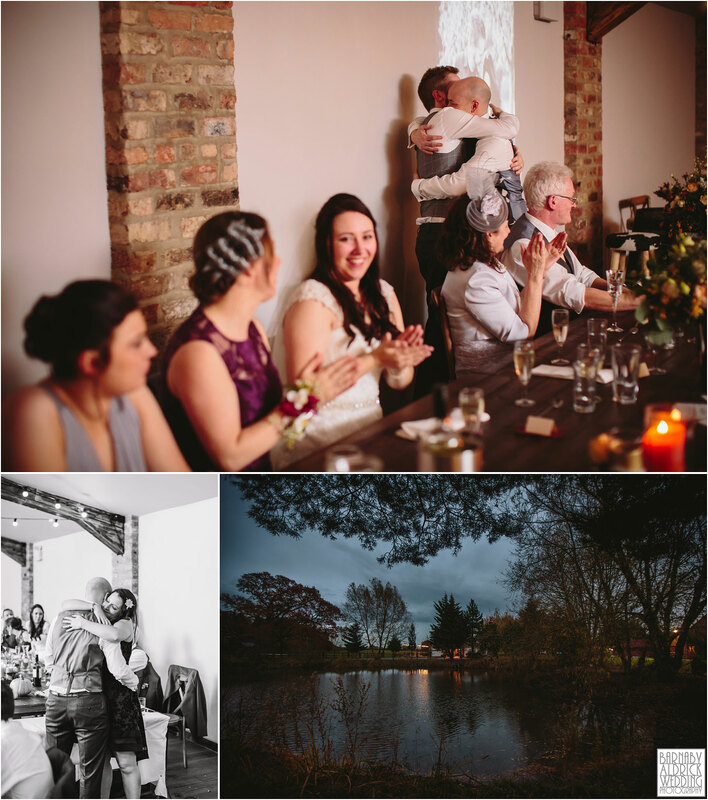 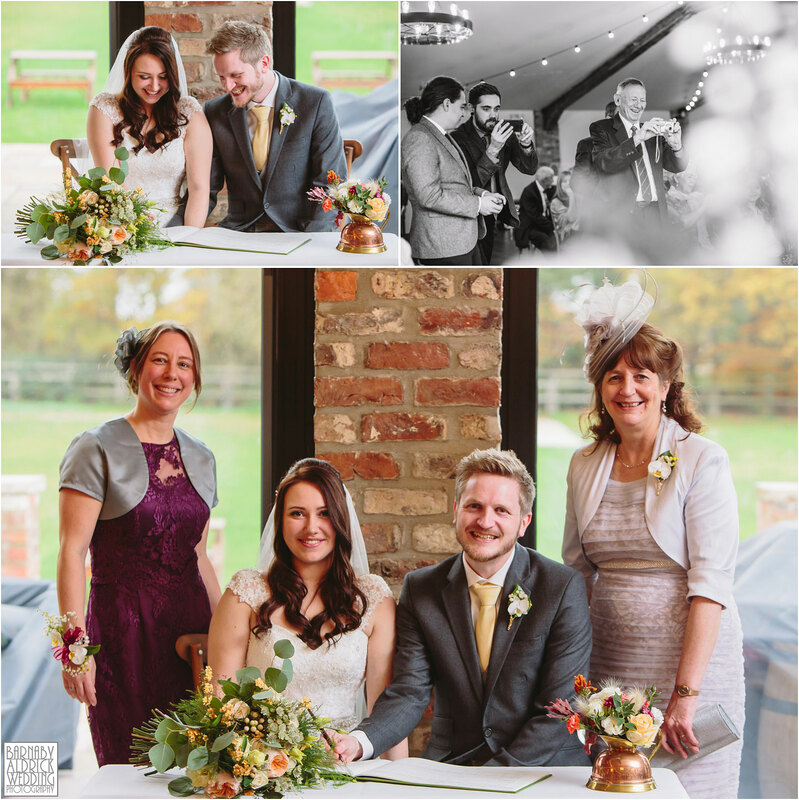 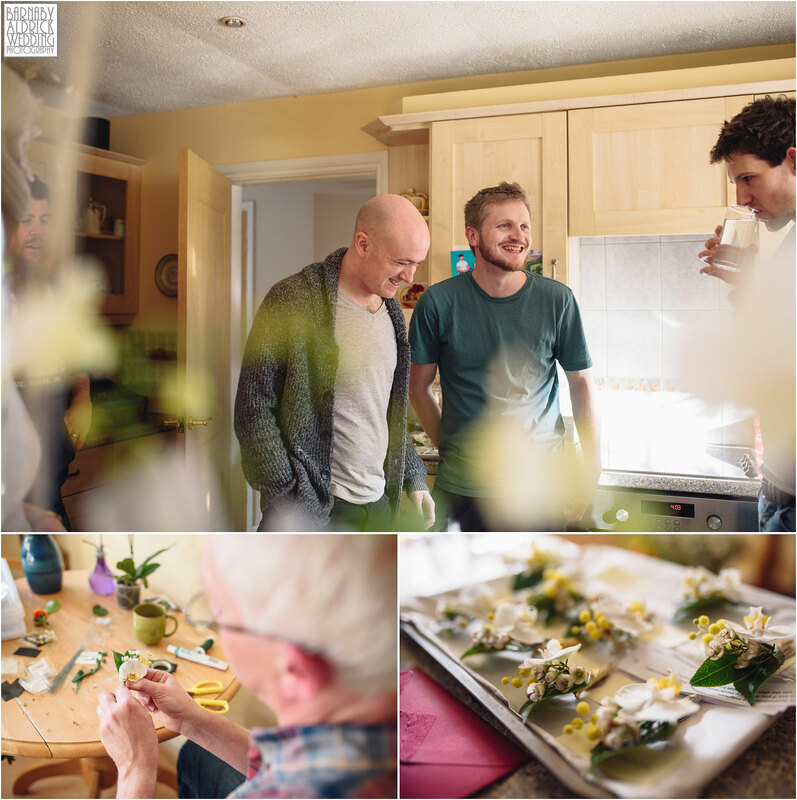 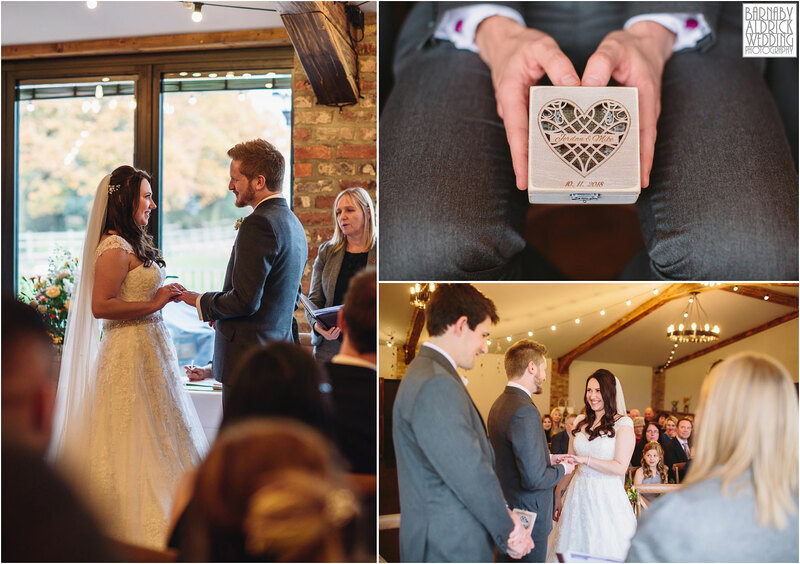 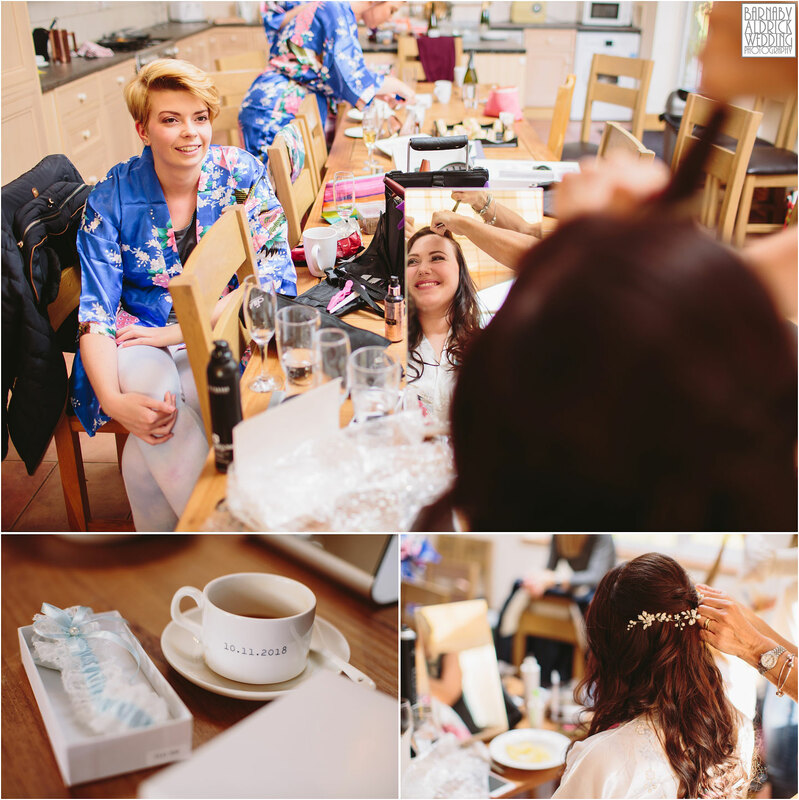 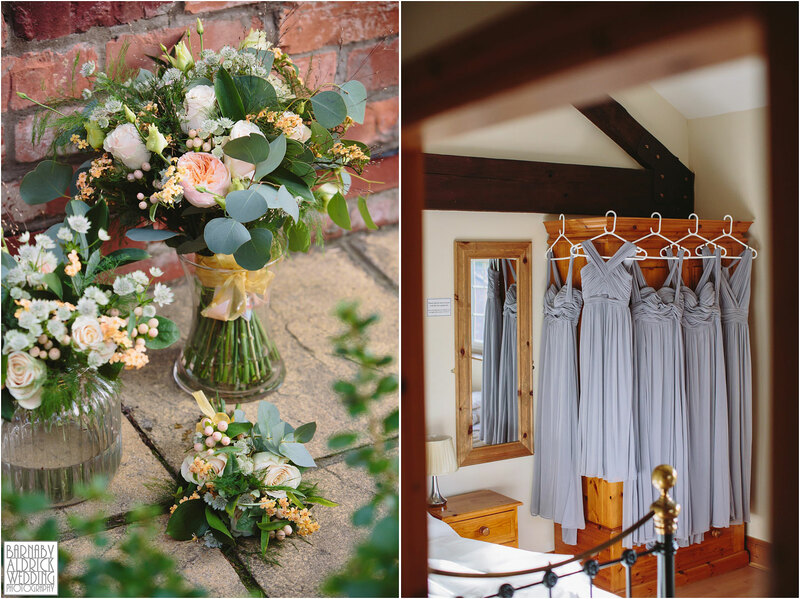 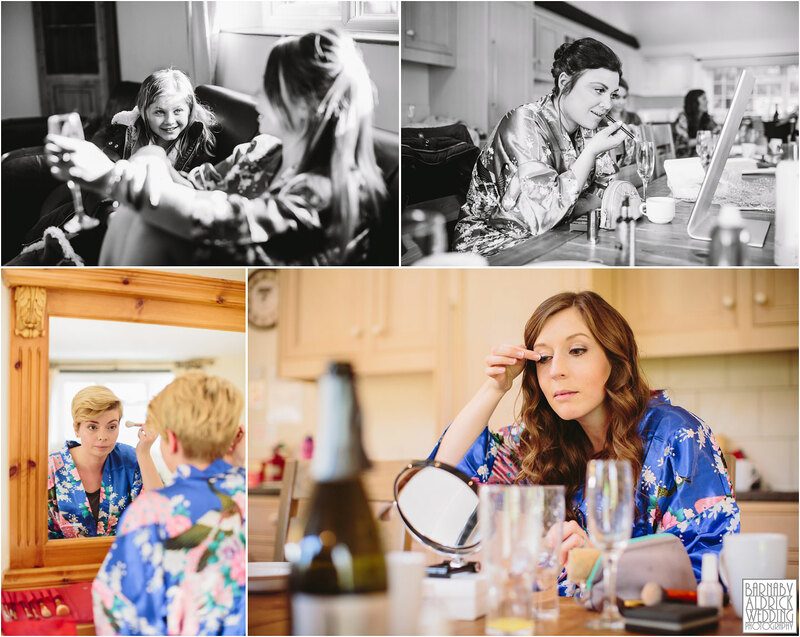 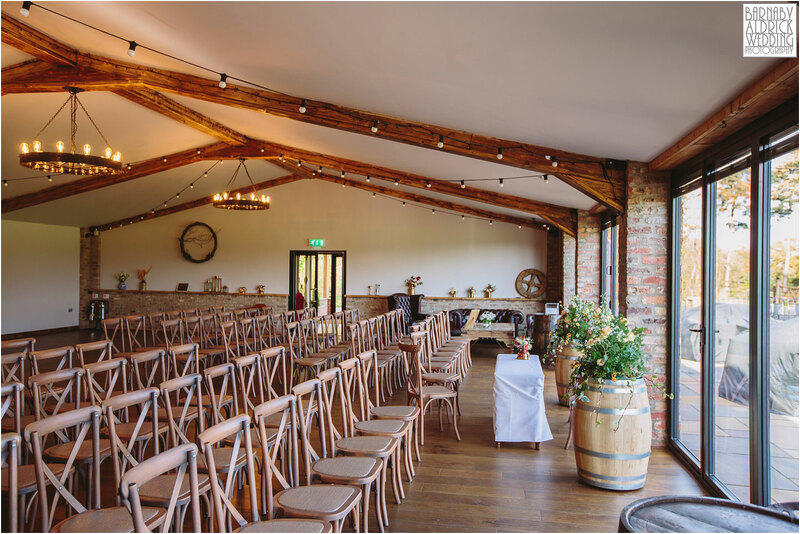 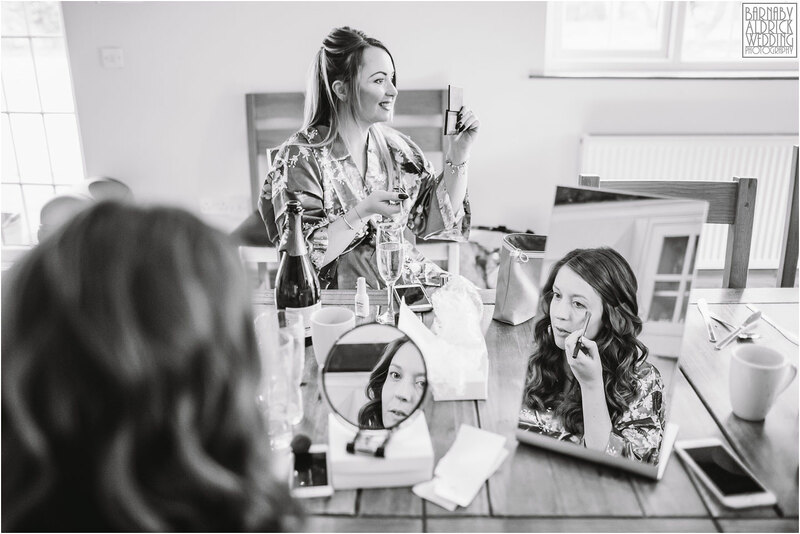 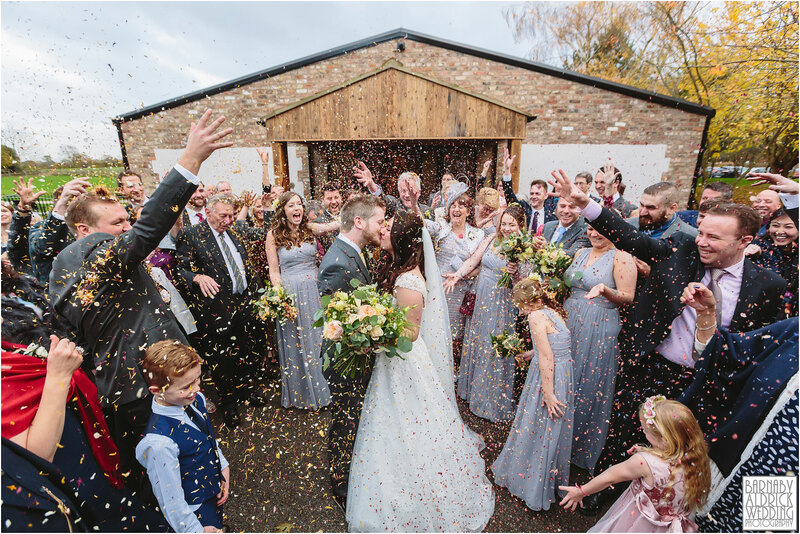 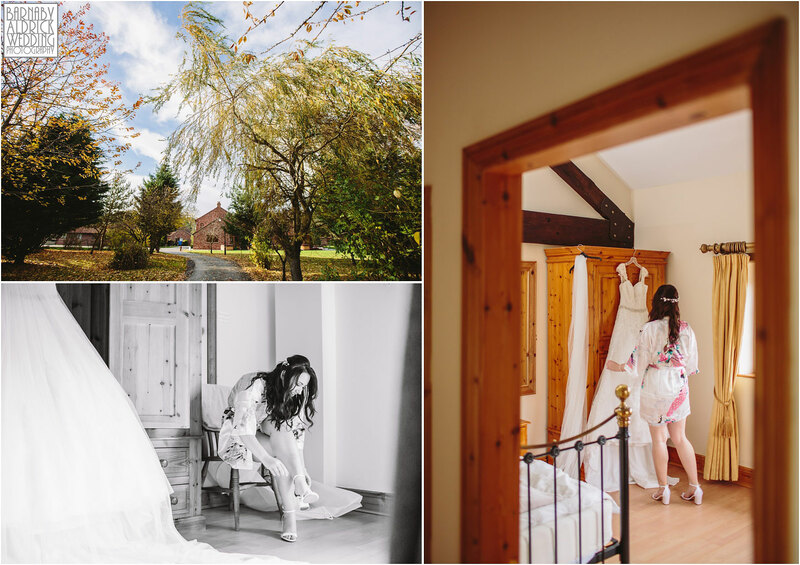 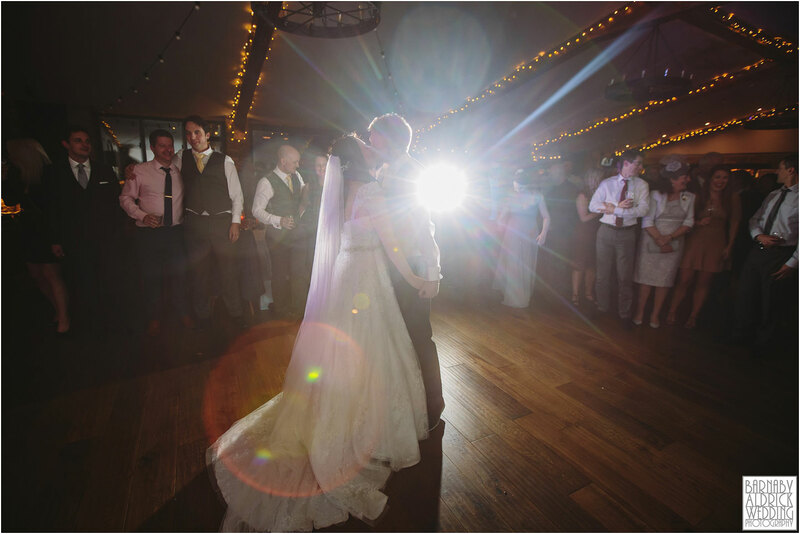 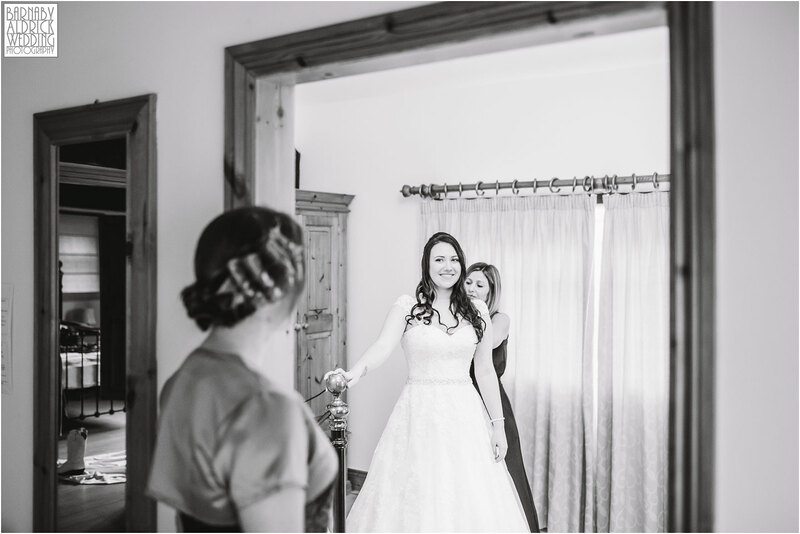 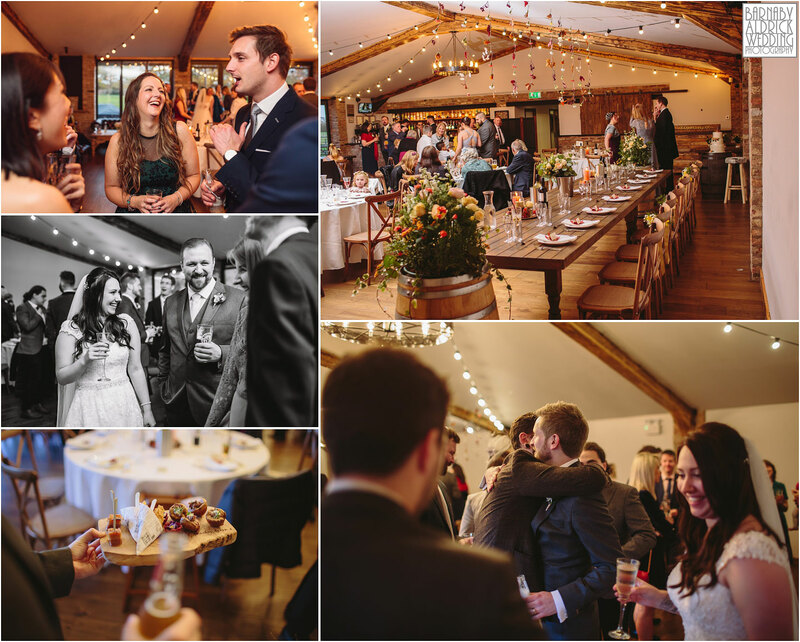 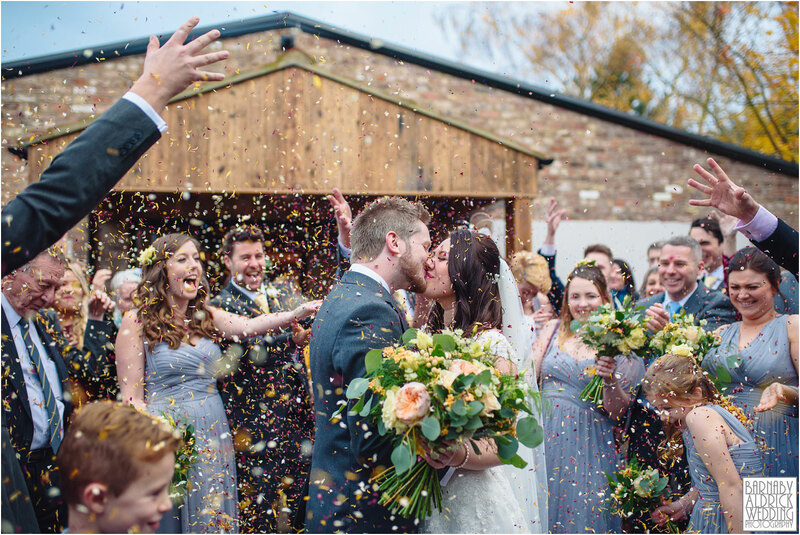 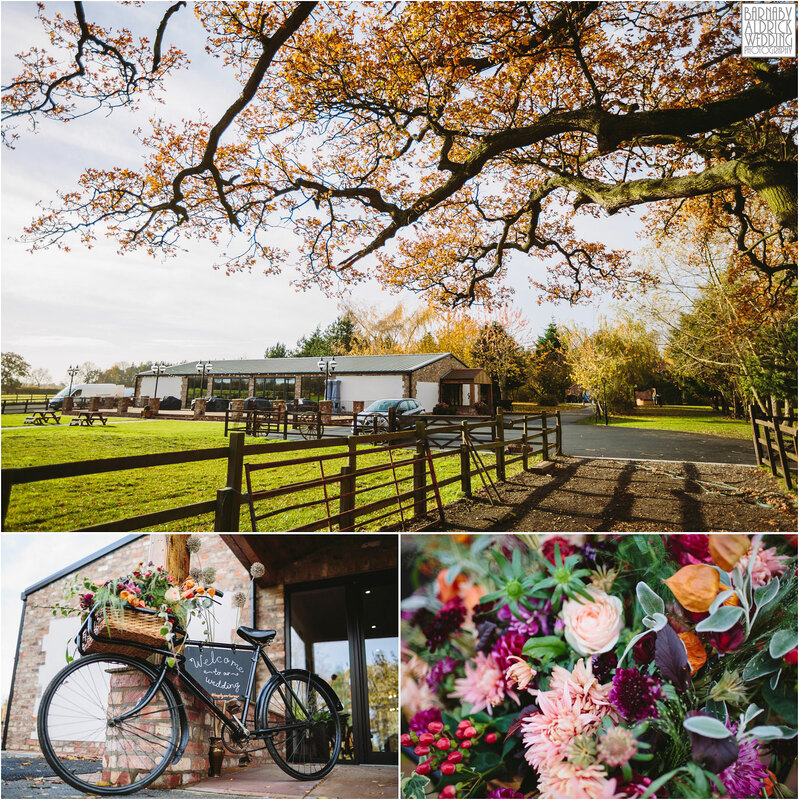 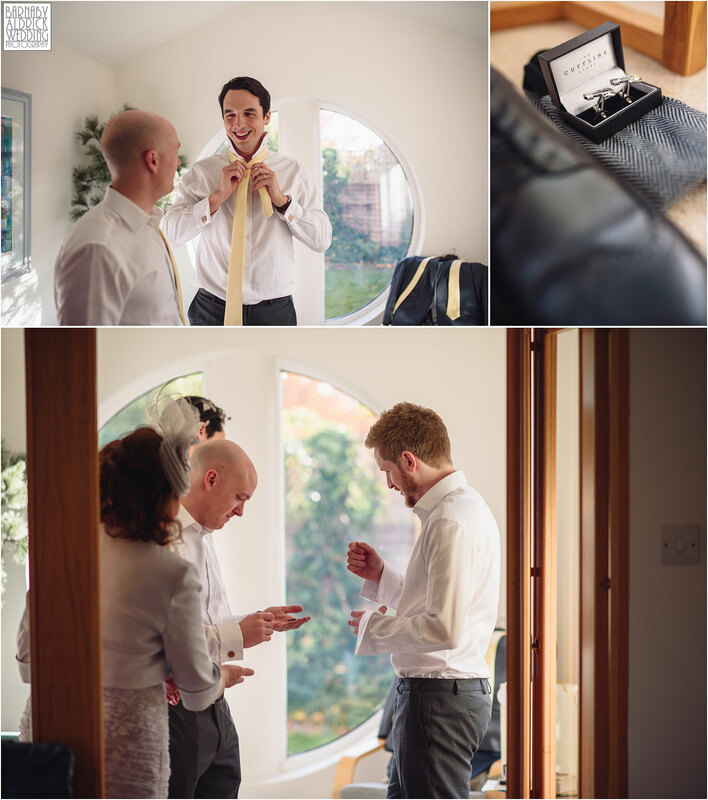 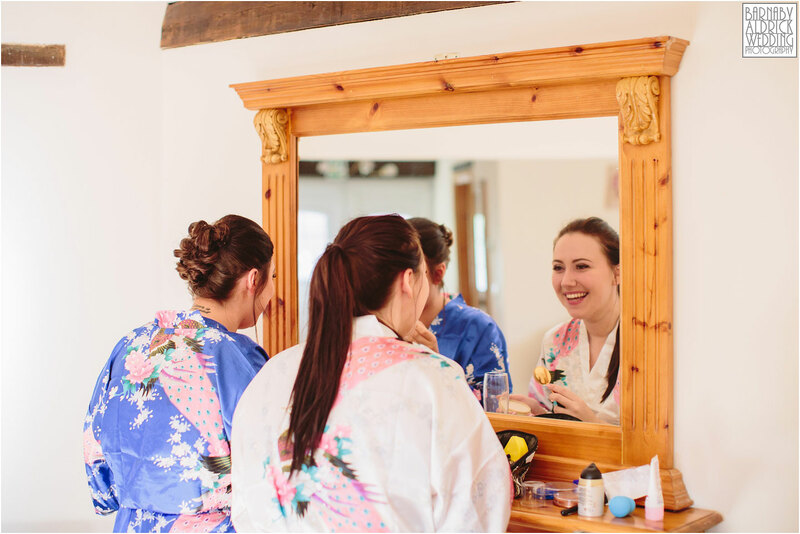 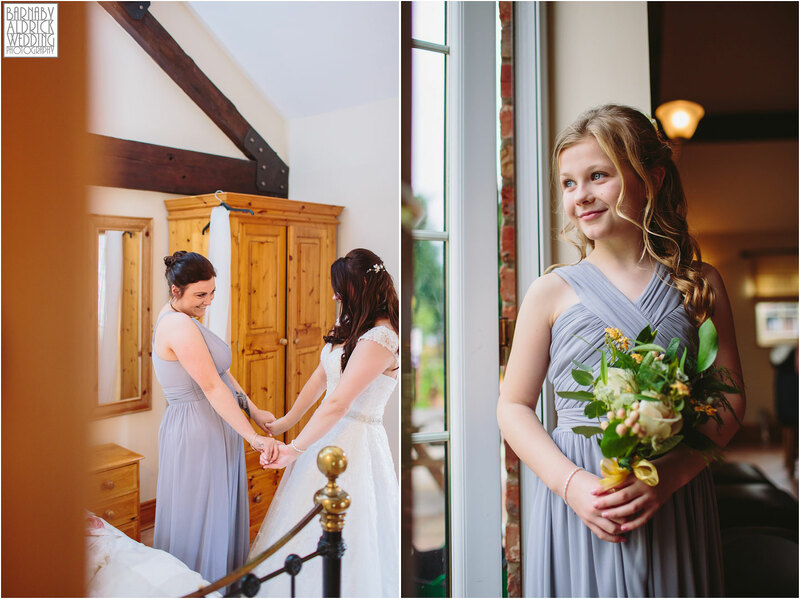 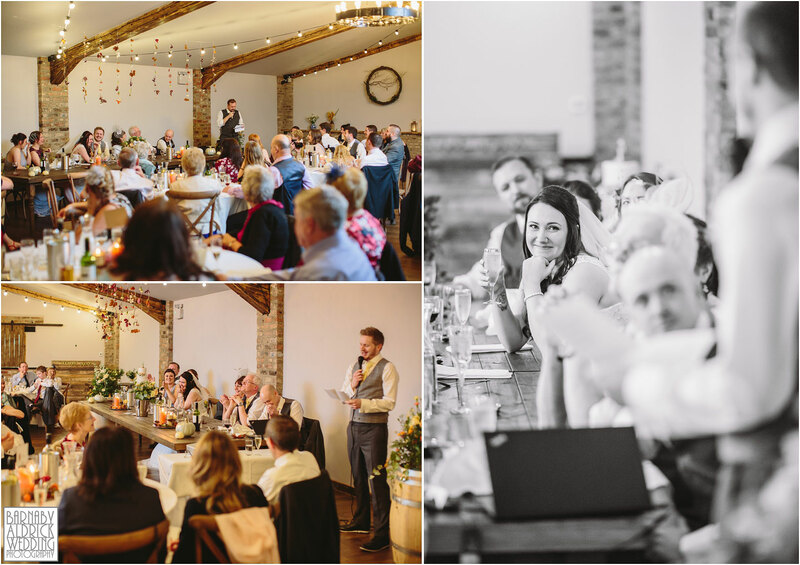 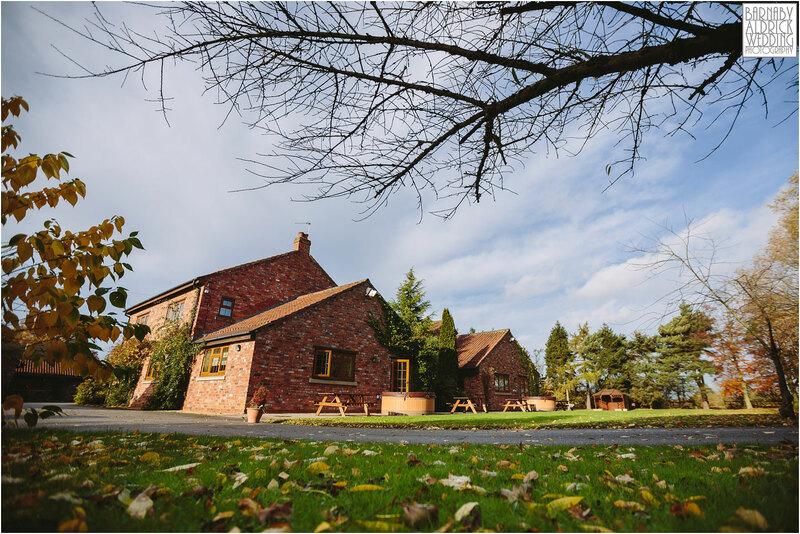 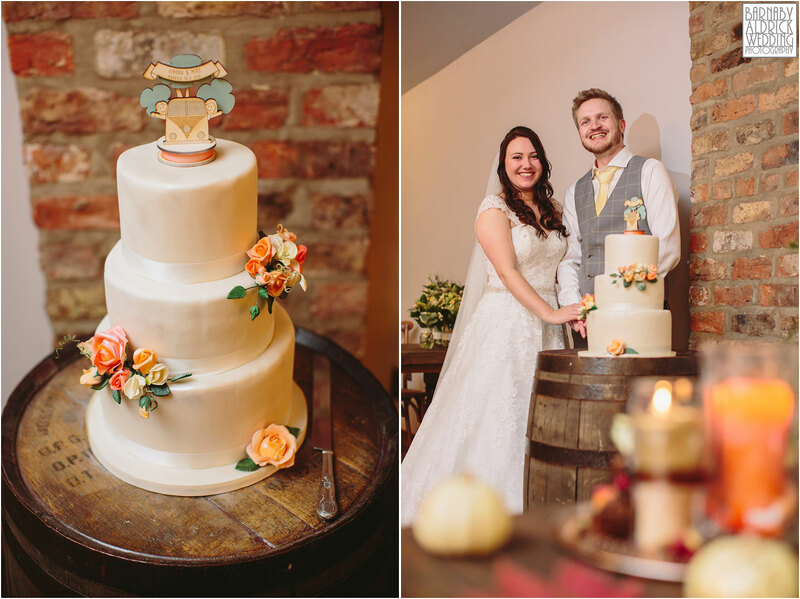 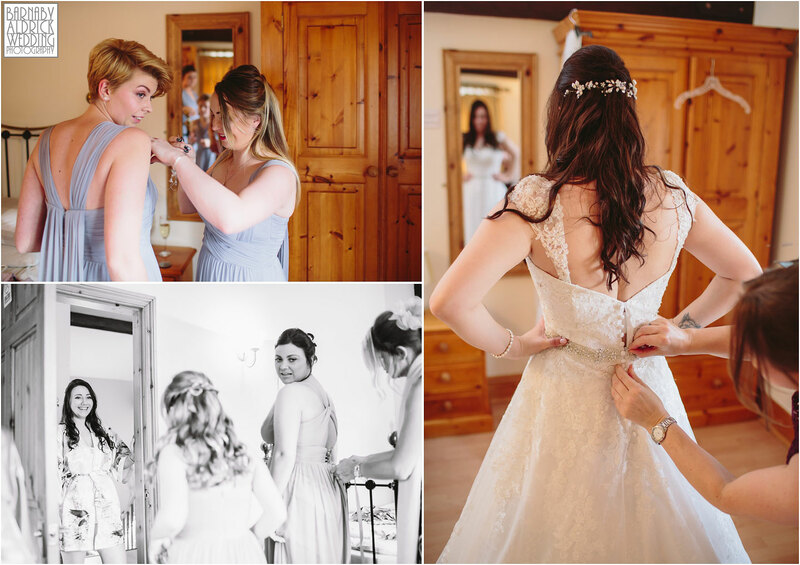 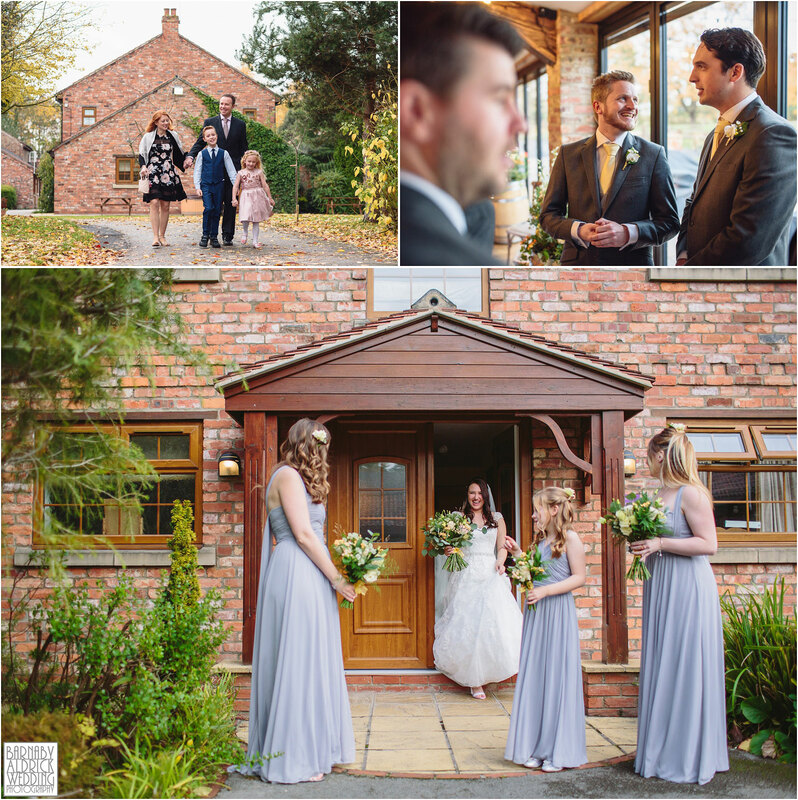 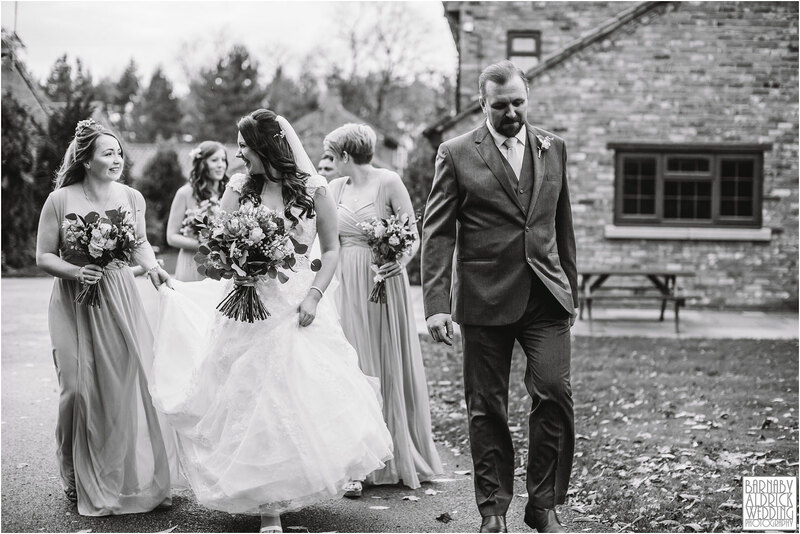 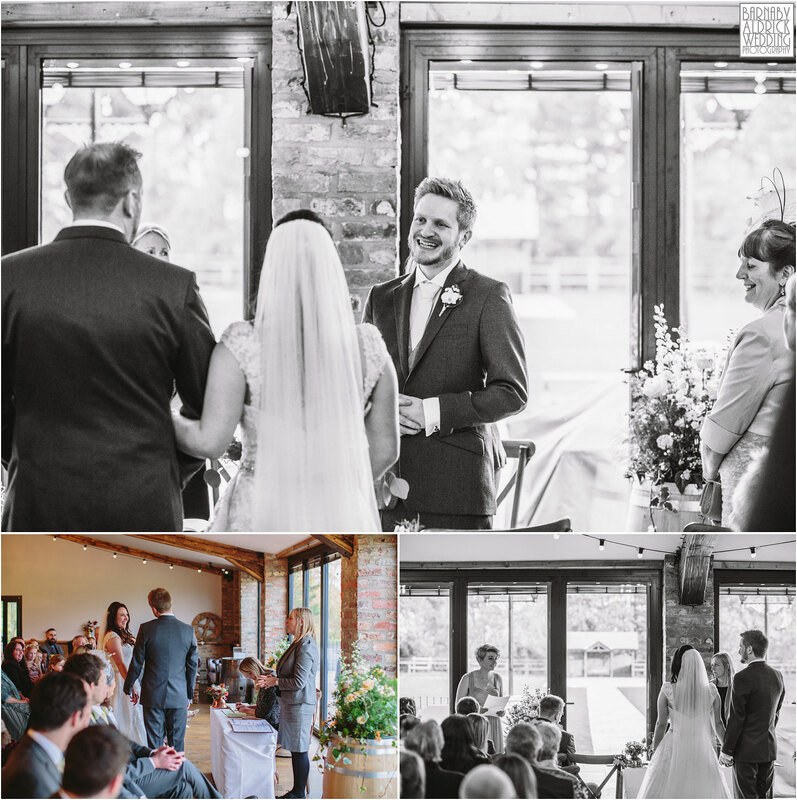 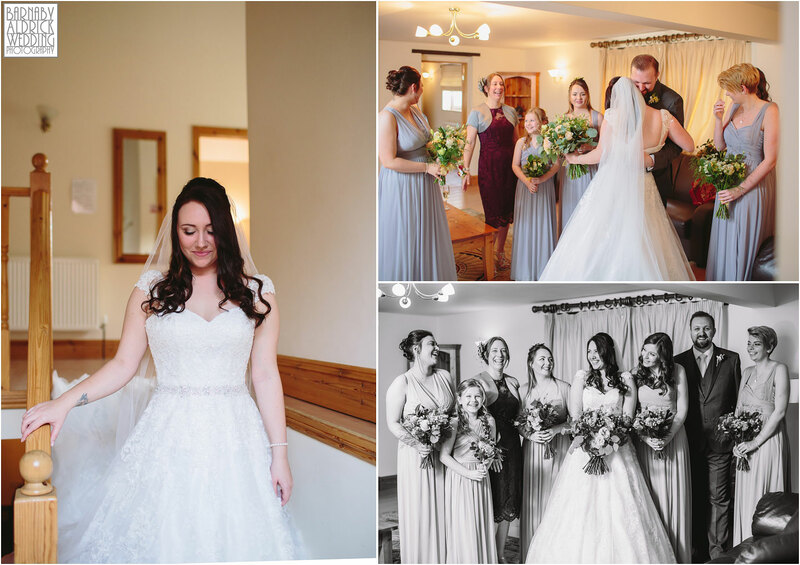 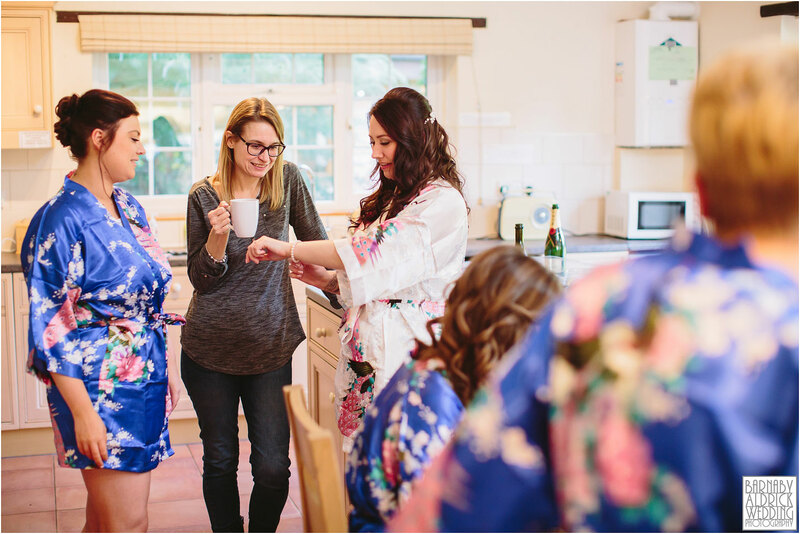 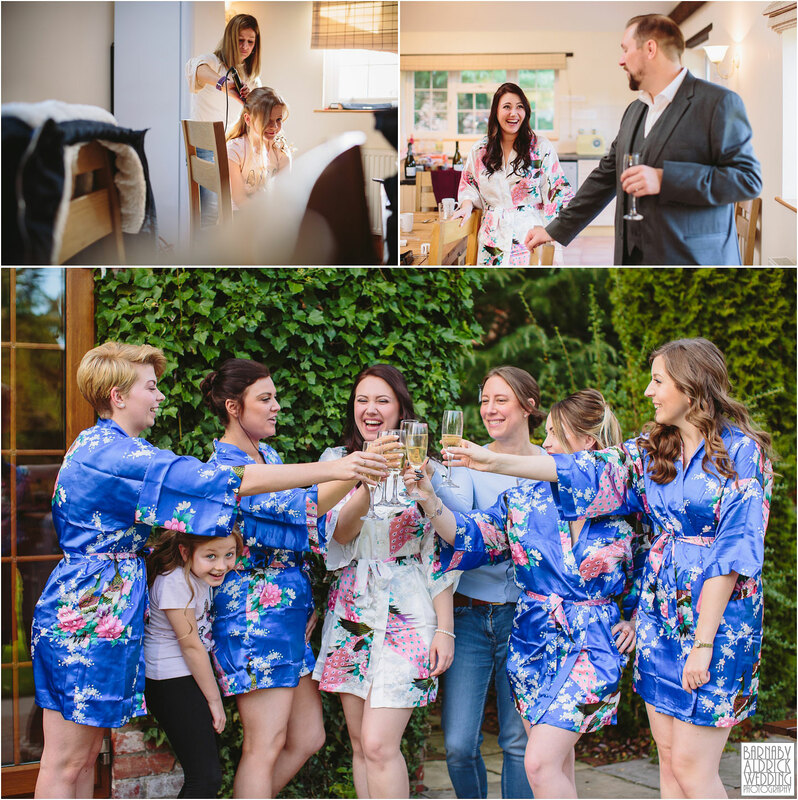 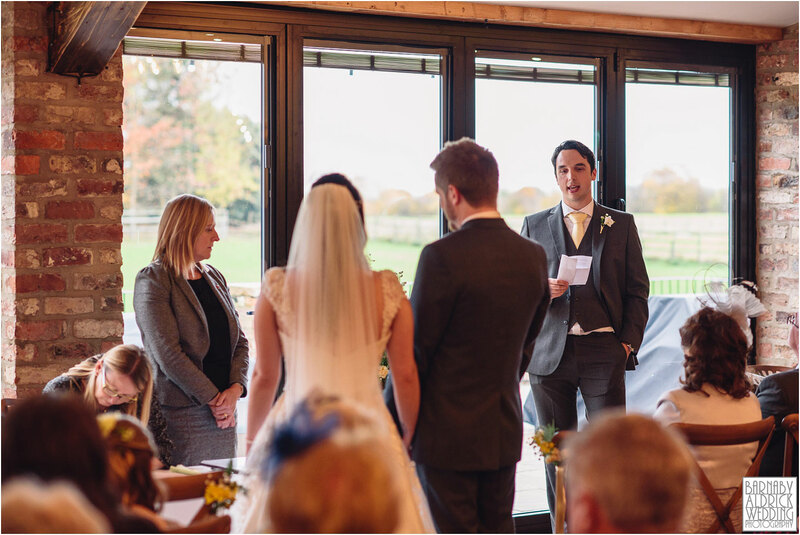 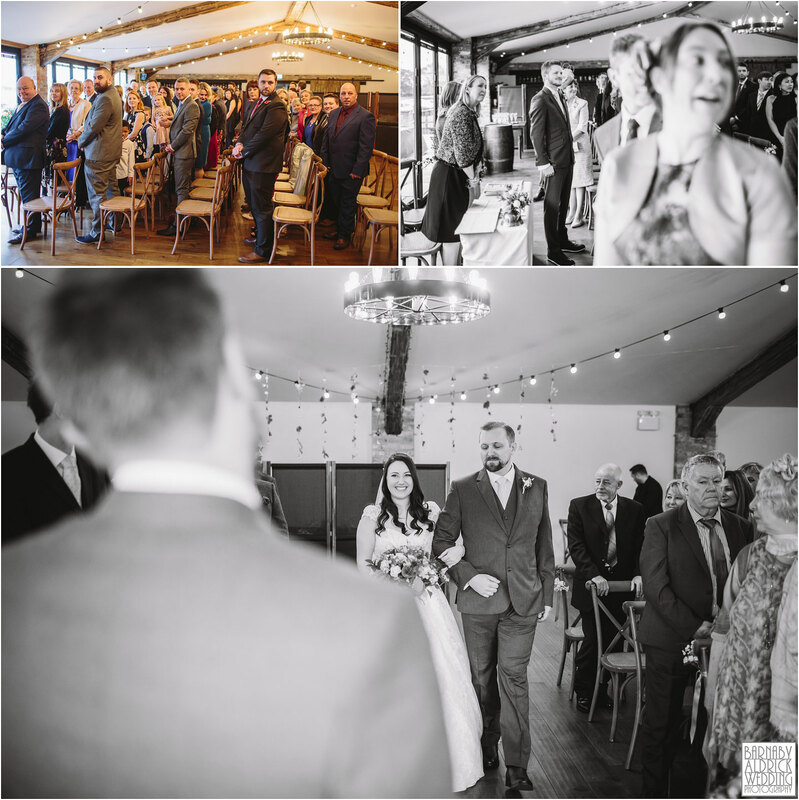 On Saturday we joined Jordan + Mike for their wedding photos at York Barn at Villa Farm, a set of luxury cottages just north of the York ring road on the edge of the village of Wigginton. 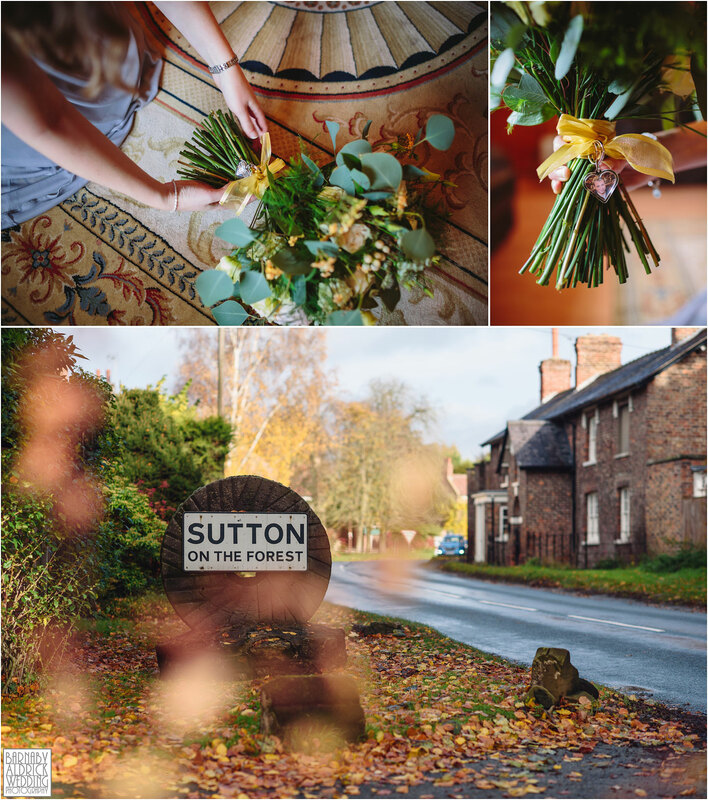 While I joined Jordan and team bride in their lovely Villa Farm cottage, my wingman Tim (of Stott + Atkinson fame) headed to the dudes at Mike’s parents house in the pretty village of Sutton on the Forest. 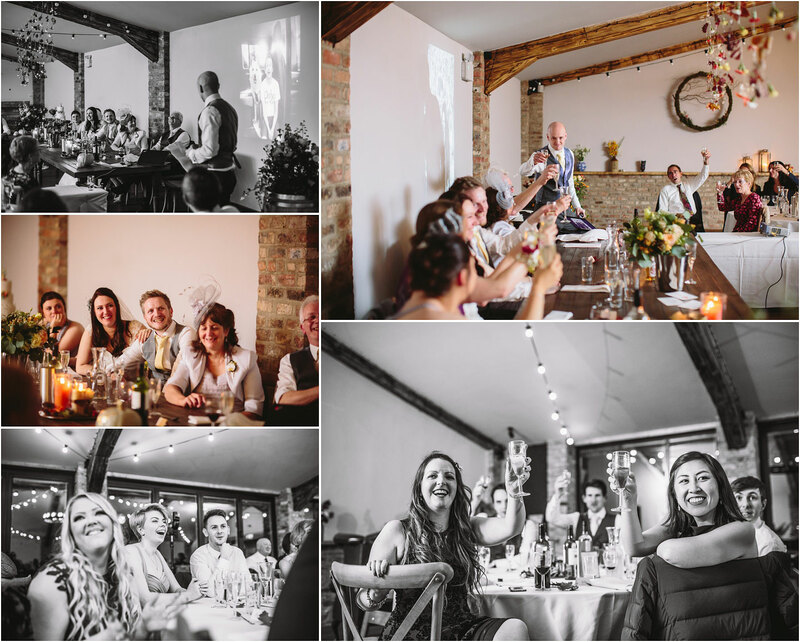 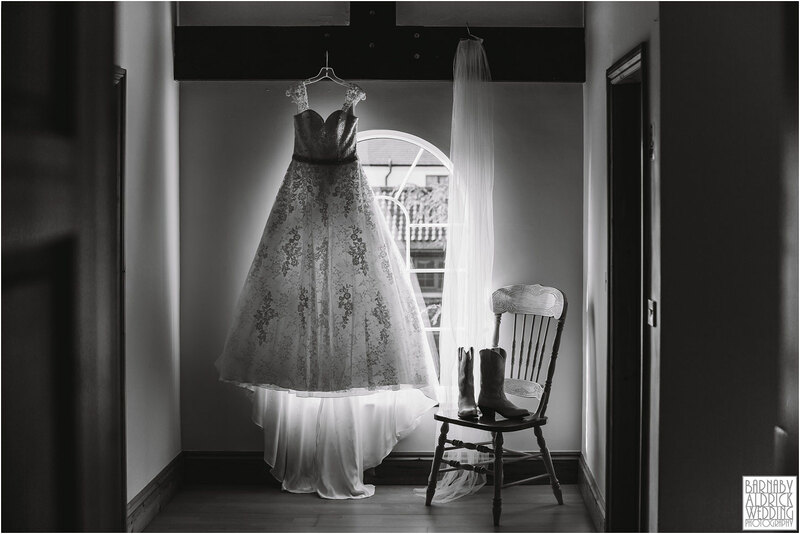 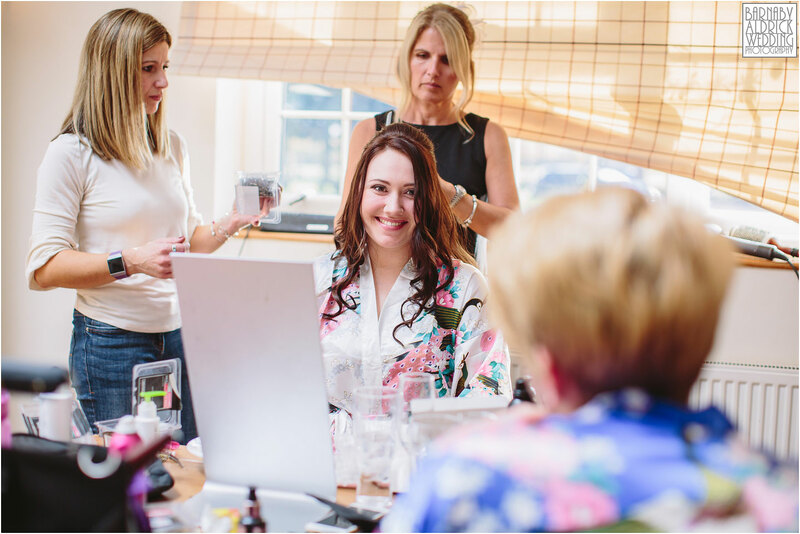 After all laughing our way through a pre-wedding practice shoot, I knew these guys would be throwing a relaxed but fun wedding – so it came as no surprise to find Jordan had a cracking set of full size white wedding cowgirl boots! 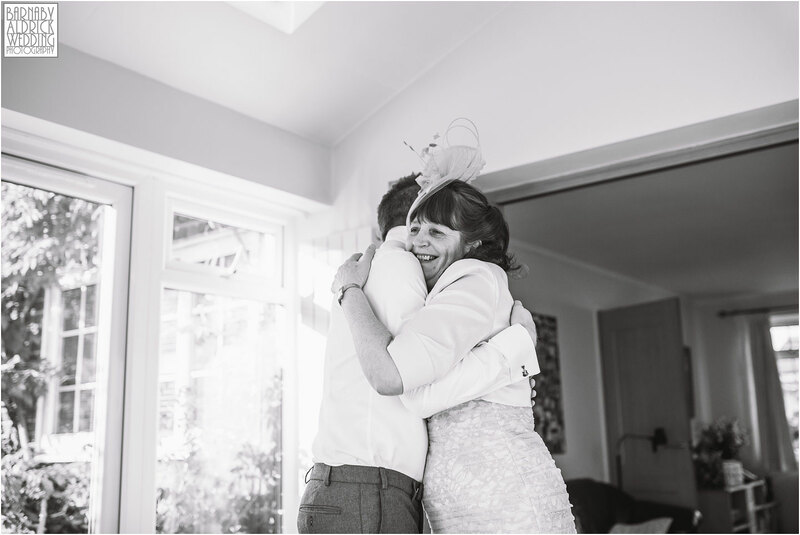 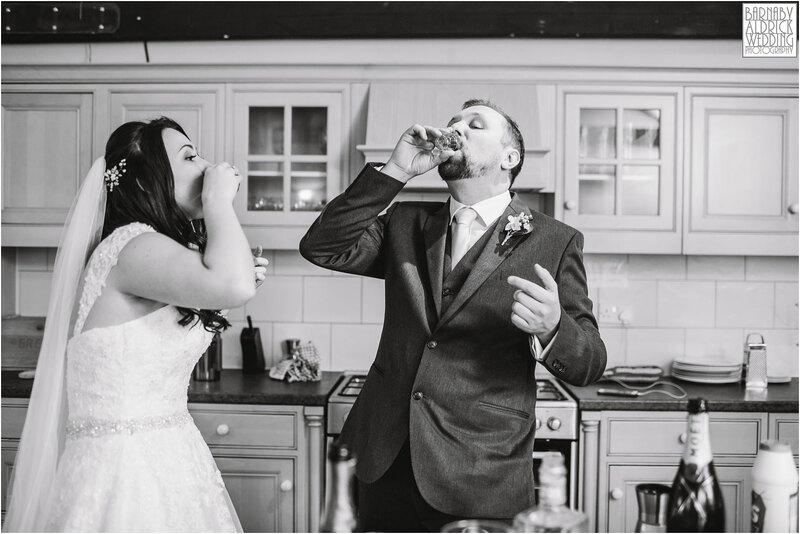 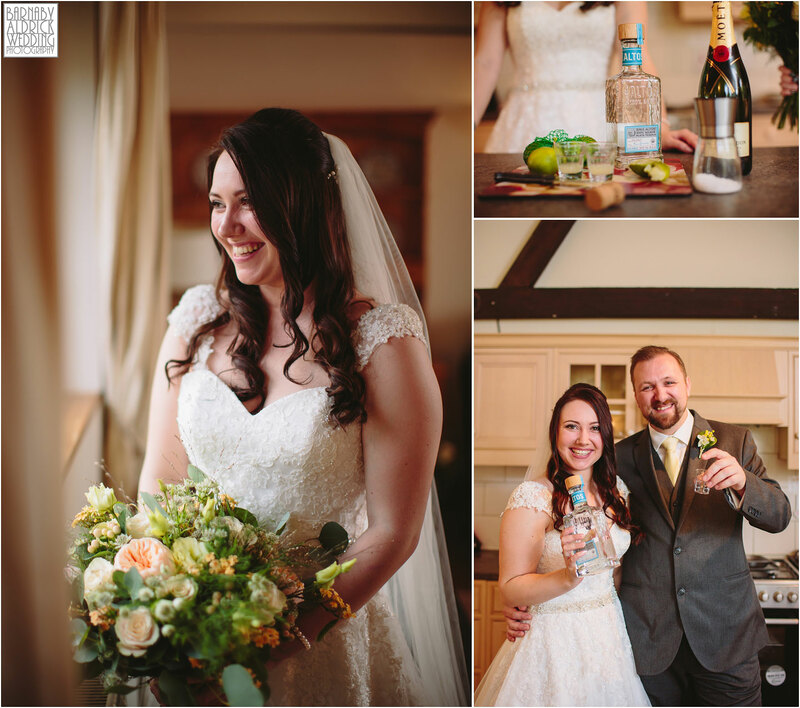 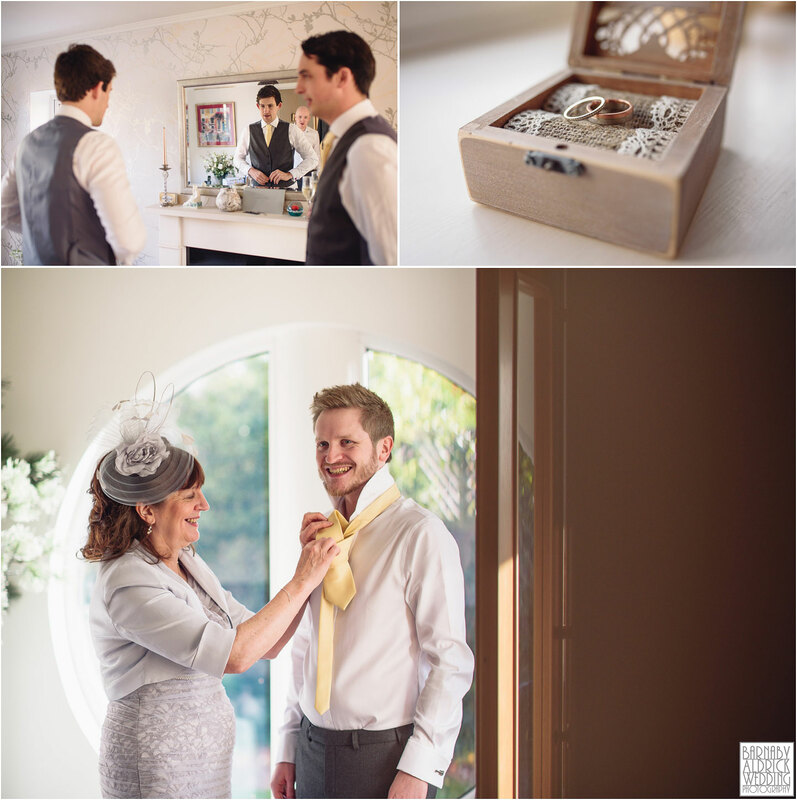 And that Jordan and her step-dad did a shot of tequila each before heading to the civil ceremony! 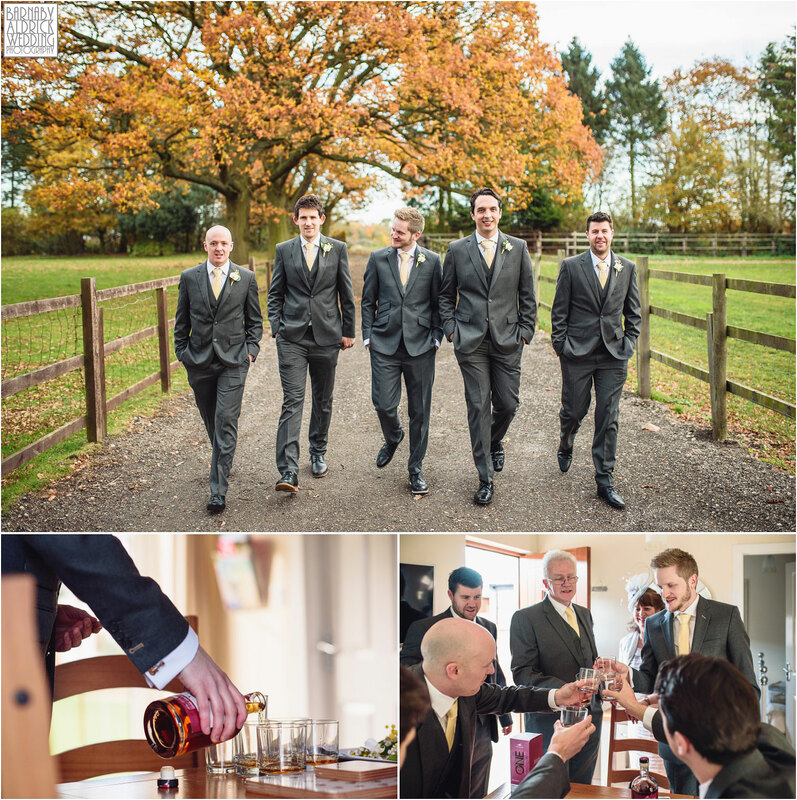 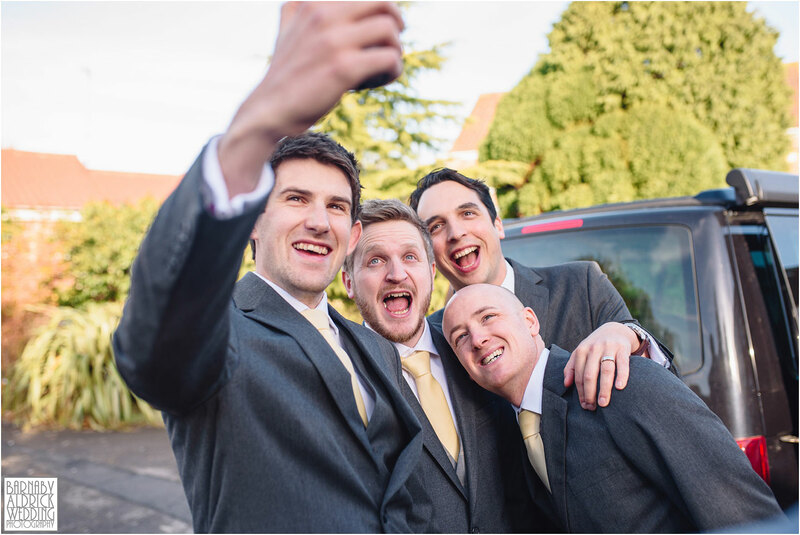 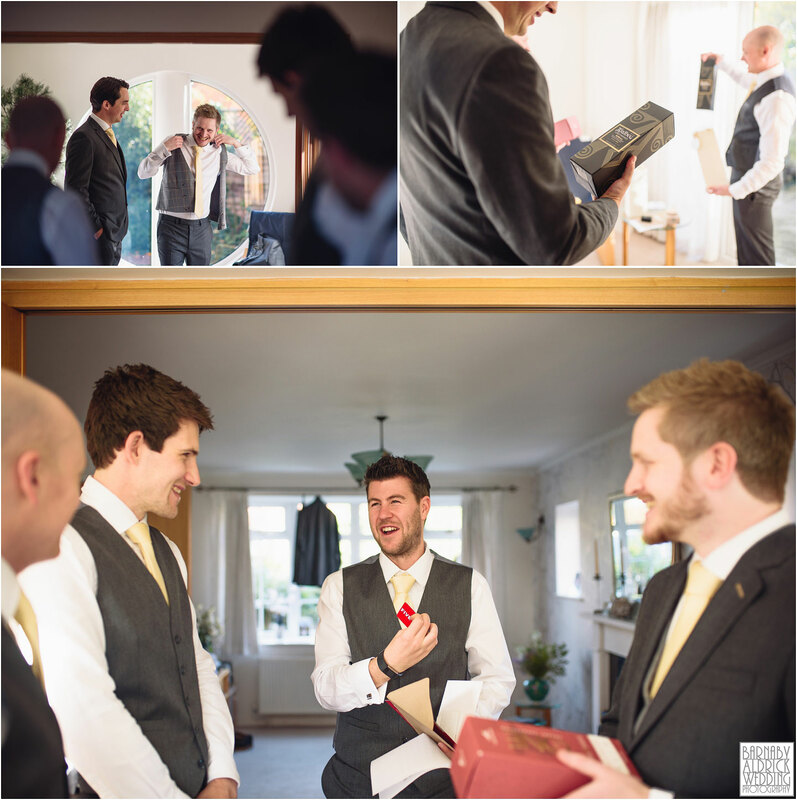 Mike and his chaps were also partial to a drink too – in their case enjoying a fine sherry aged whiskey – apart from Tom, who’s groomsman gift was Five Guys gift voucher! 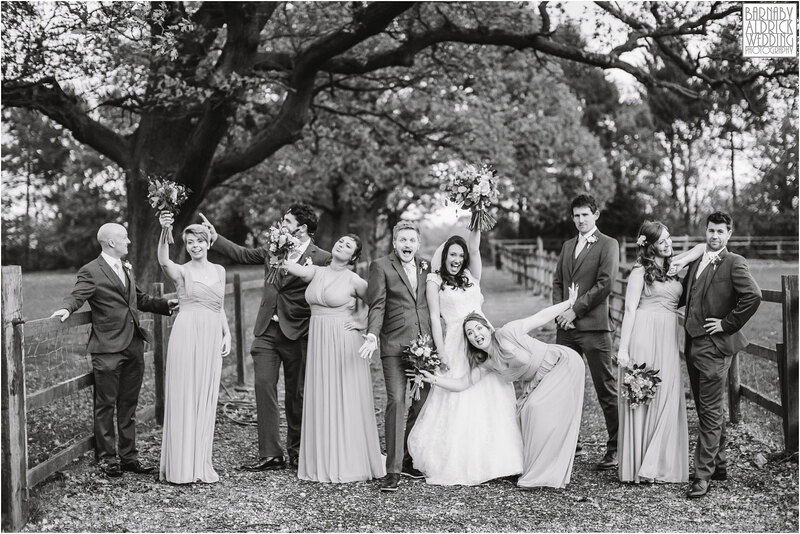 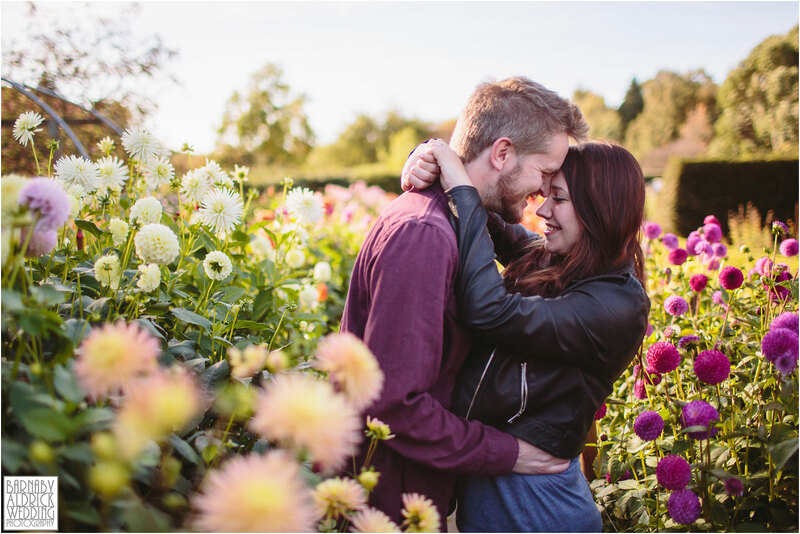 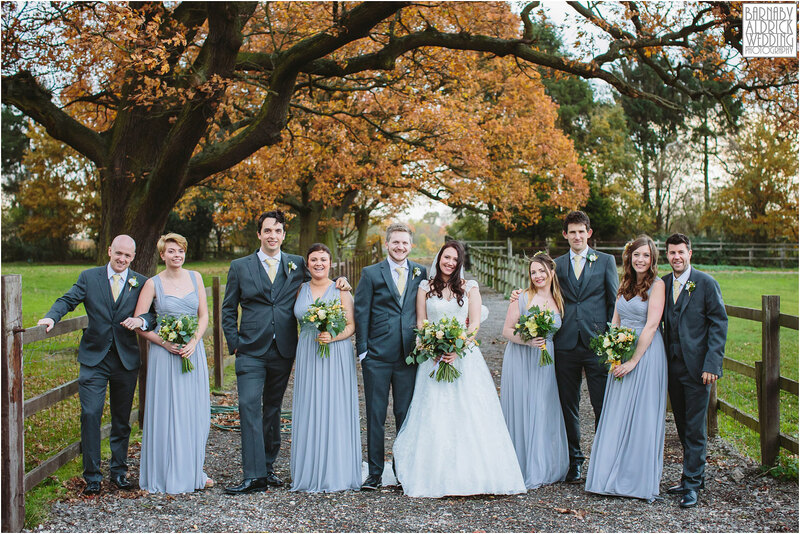 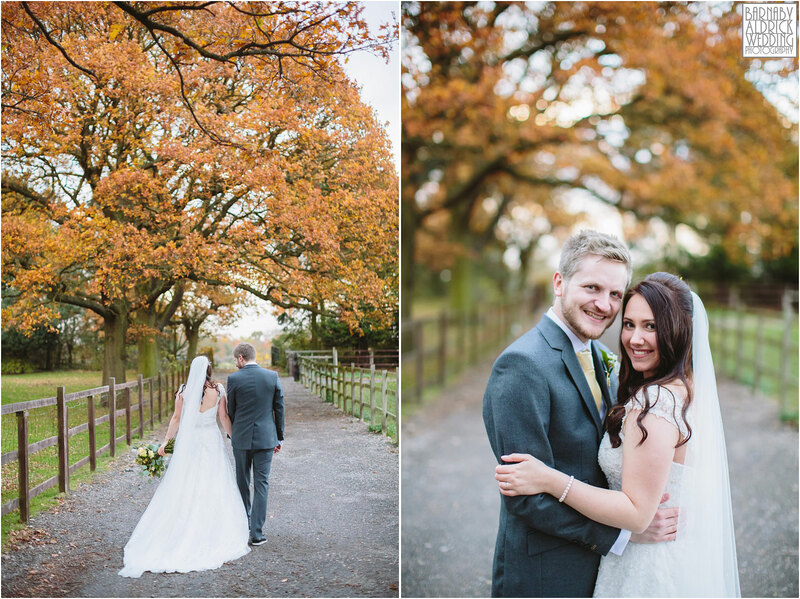 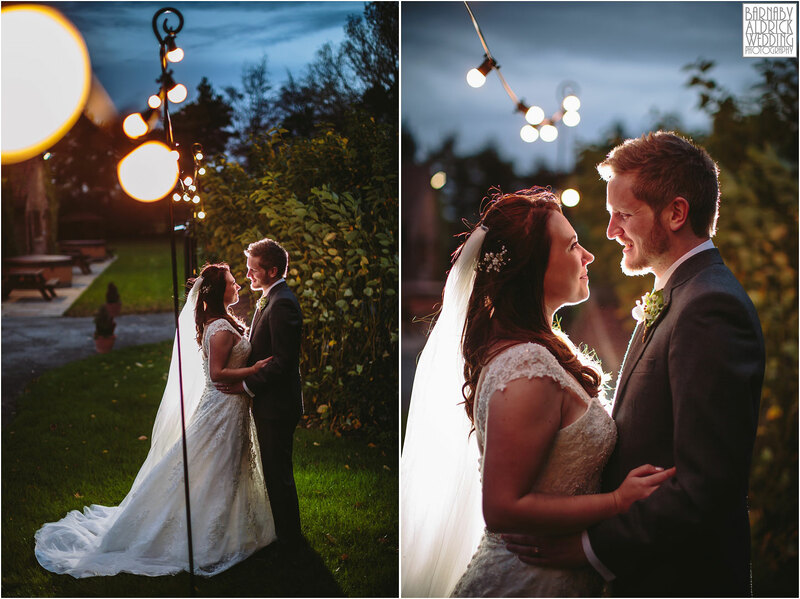 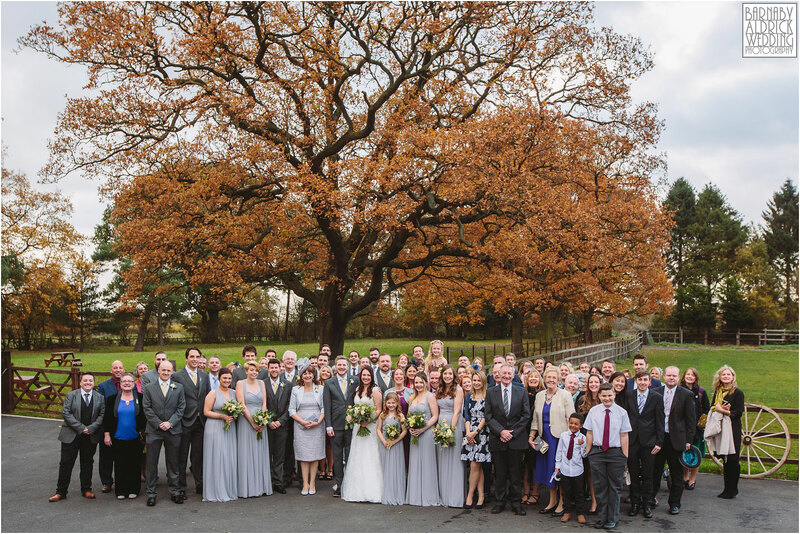 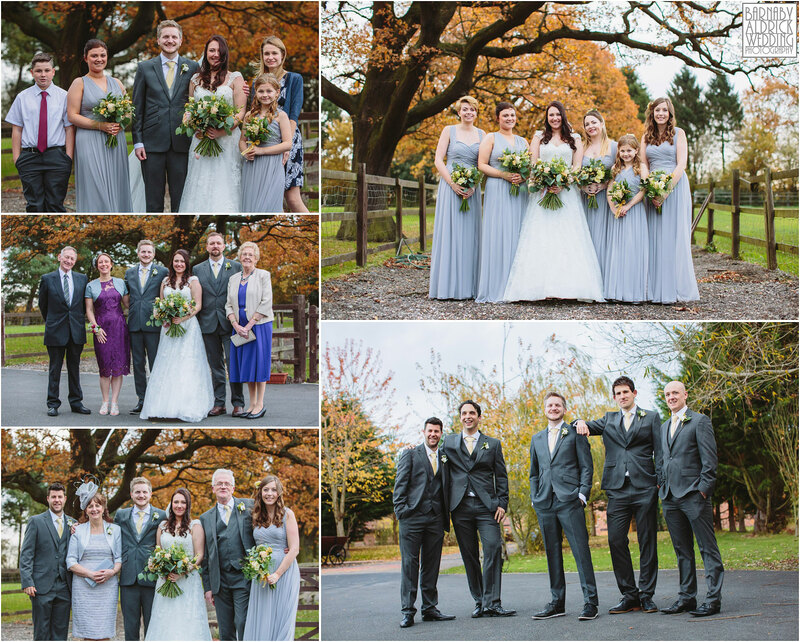 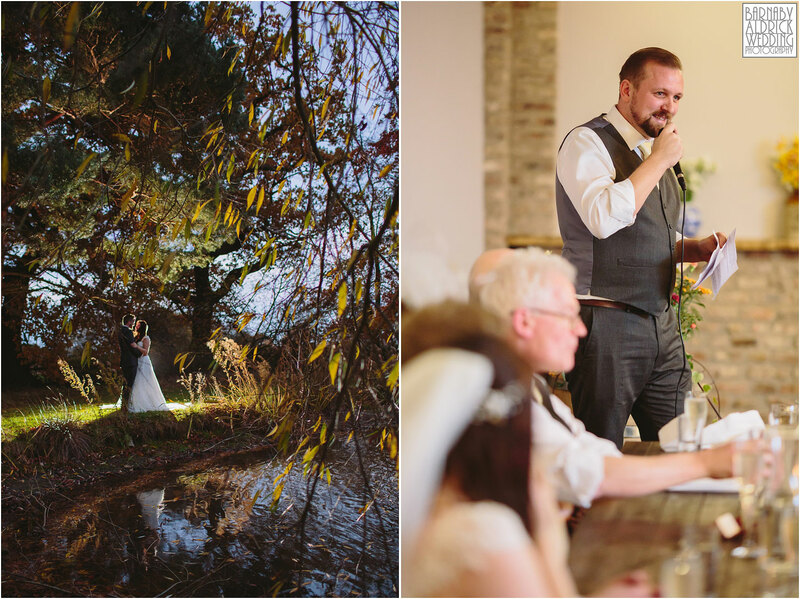 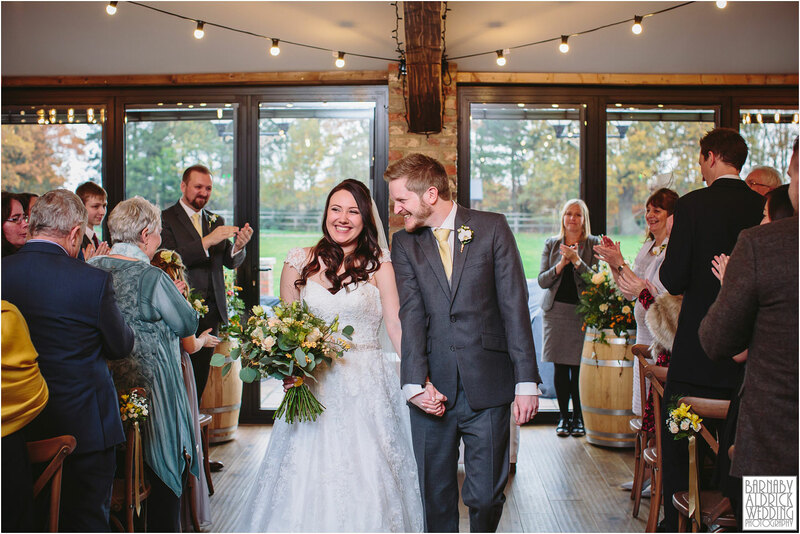 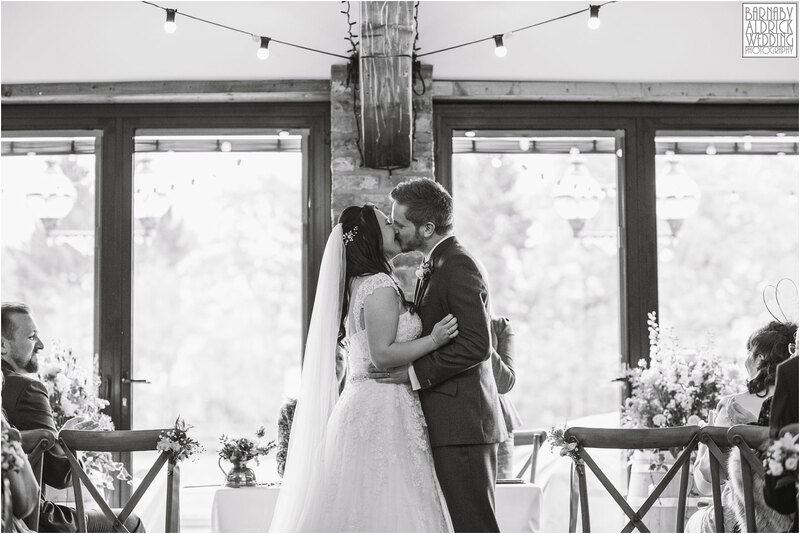 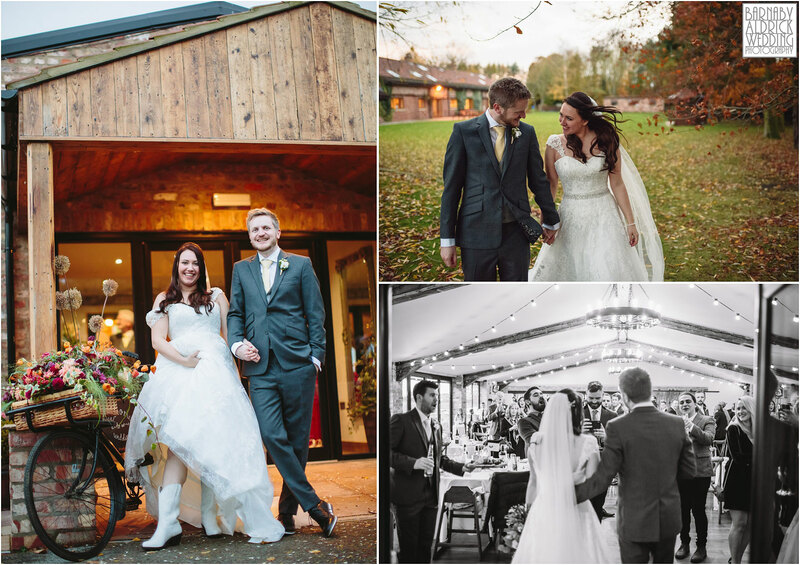 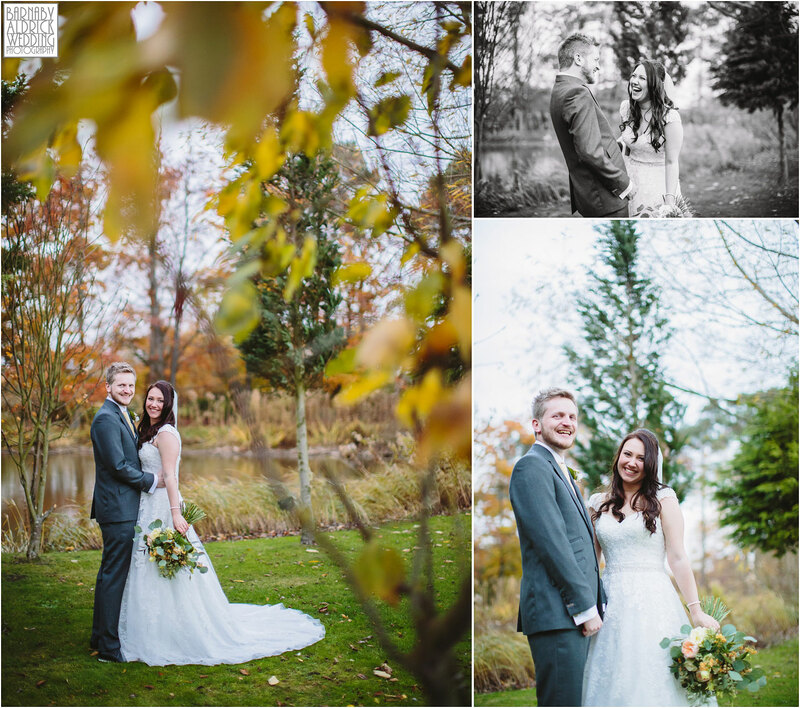 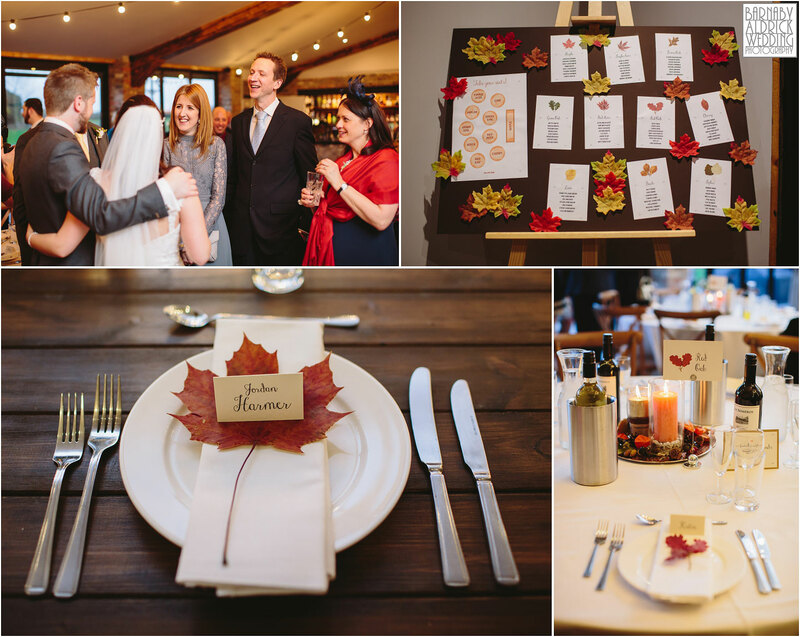 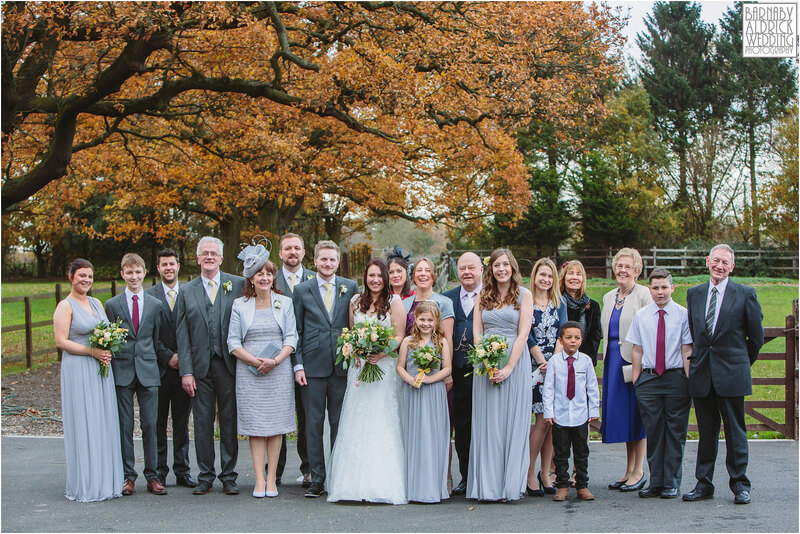 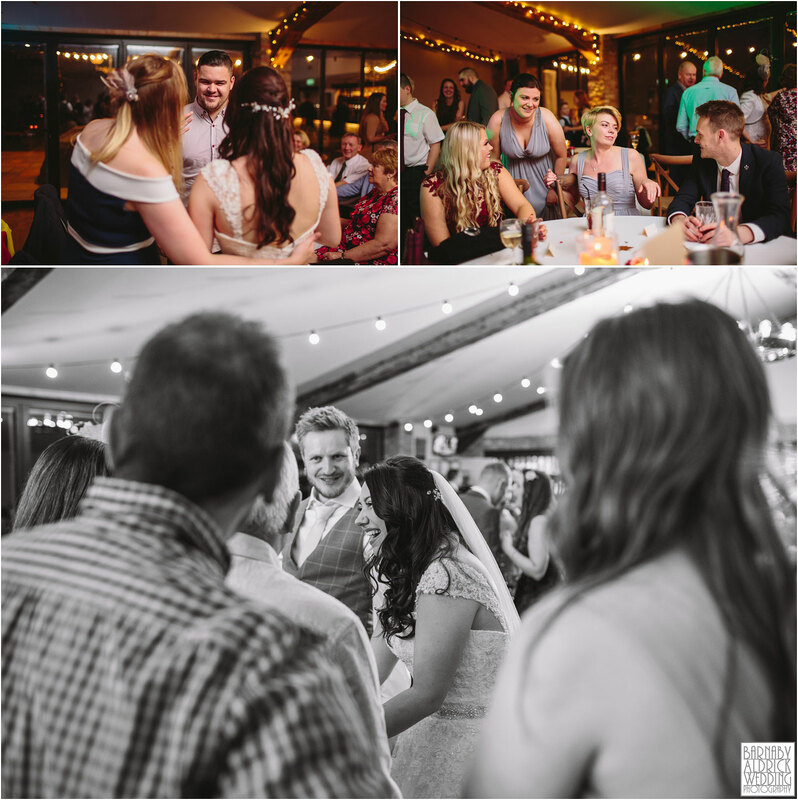 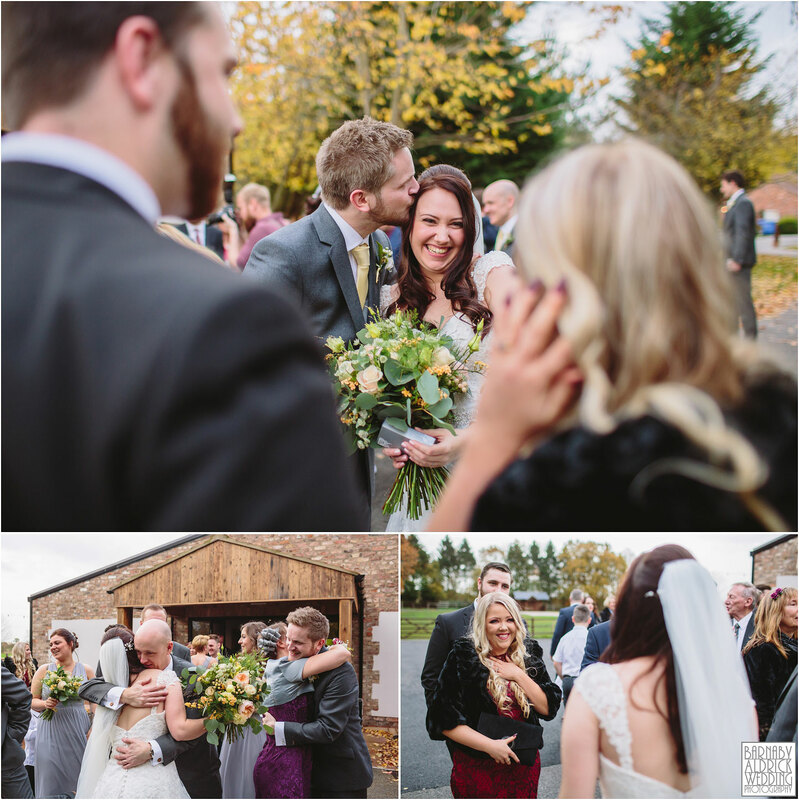 We were so lucky to get a dry autumnal day as we barrel into November, and it was a relief to get our happy couple in out of the cold after a round of fun group shots and portraits! 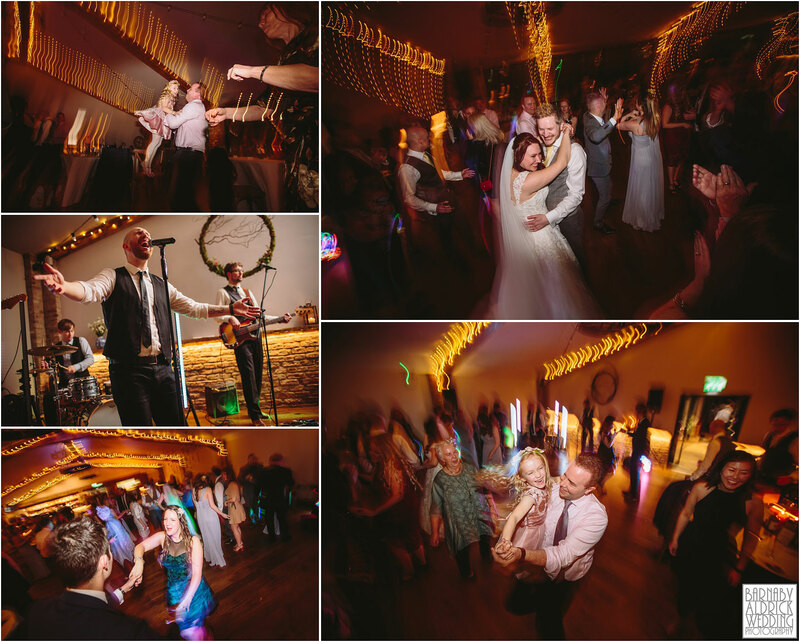 And after a lovely meal, fun speeches, it was time for a good ol’ knees up to a a great band. 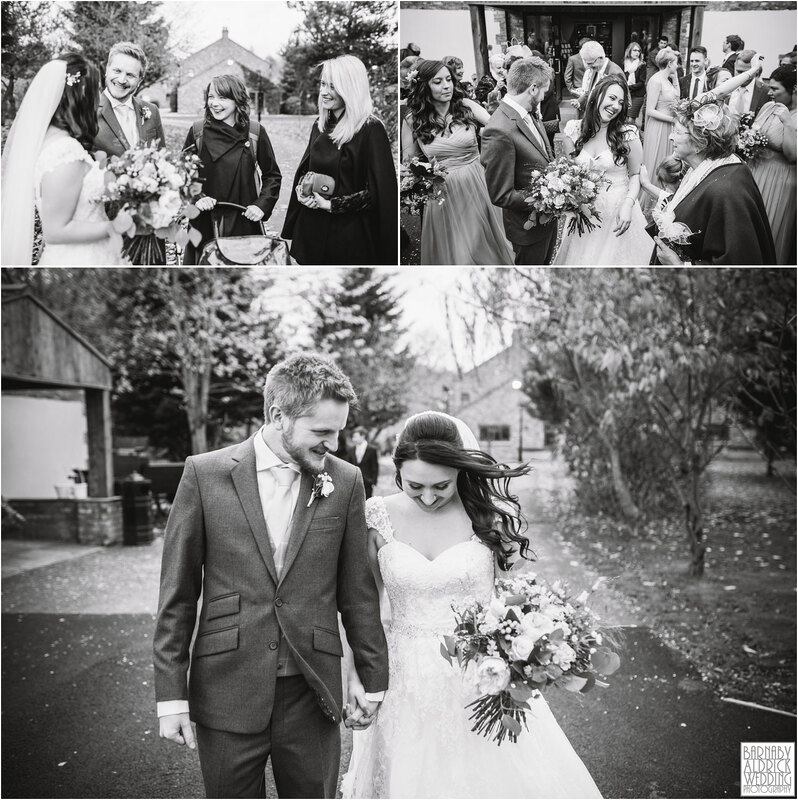 All in all, a thoroughly lovely day! 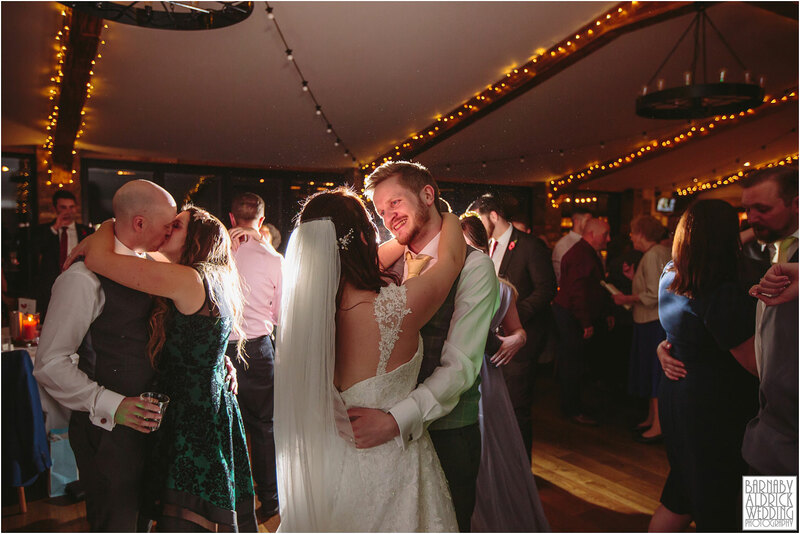 Here’s wishing Jordan + Mike huge congratulations and an awesome minimoon break Scotland ahead of their Christmas honeymoon to Lapland!